Complex in structure and composition, the temporomandibular joint (TMJ) connects your lower jaw to the bottom of the skull. When you open your mouth, the lower jaw's round ends called condyles slide smoothly along the temporal bone's joint socket. Upon closing your mouth, condyles return to original positioning. To support ease of movement, a cushion-like disc separates the temporal bone and condyle, absorbing shock to the TMJ produced by chewing, grinding and other forceful movements. If one or more of these TMJ components suffers inflammation, injury, disease or trauma, myofascial pain and jaw stiffness occurs that requires effective chiropractic care from your Midtown chiropractor. NSAIDs like ibuprofen may provide temporary relief of pain but does not treat jaw stiffness or underlying causes of TMJ disorder. For a full diagnosis of jaw joint pain, schedule an appointment with your New York chiropractors at Rockefeller Health and Medical. Currently, there is no standardized test to explicitly diagnose TMJ disorder. 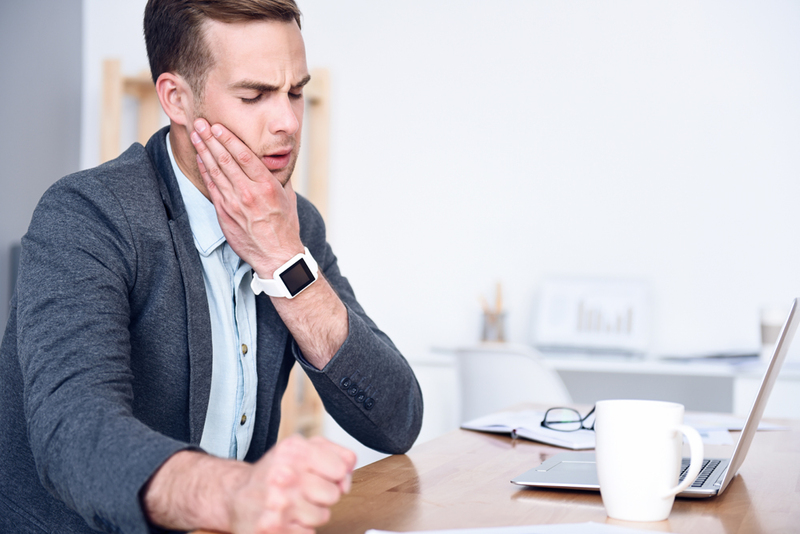 By taking note of your symptoms, dental history, medical history and possibly ordering imaging scans of your jaw joint, your chiropractor near Rockefeller Center can determine if your symptoms are due to deficiencies in the temporomandibular joint. Sometimes, TMJ pain may be caused by sinus infections, teeth grinding, poor posture, arthritis or other inflammatory joint disorders. Depending on the cause, your chiropractor will develop a detailed treatment program to address TMJ disorder conditions. Spinal adjustments to improve positioning of vertebrae remove nerve compression and enhance signaling between your body and brain help many TMJ disorder patients manage their pain successfully. By refining nervous system functioning, spinal adjustments promote healing of joint and soft tissue inflammation so that pain gradually decreases over time. To reduce jaw stiffness, your chiropractic doctor in New York may recommend massage therapy and special jaw exercises to strengthen and stretch muscles supporting jaw movement. If you are interested in acupuncture to alleviate TMJ disorder pain, your chiropractor will be happy to explain the biological mechanisms behind acupuncture that bring pain relief to many patients. Don't let TMJ pain and stiffness reduce your quality of life another day. Call Rockefeller Health and Medical to schedule an immediate appointment: (212)-388-5050.